The stress from financial troubles can be just as devastating as coping with the physical and emotional challenges that accompany a serious illness. Between 2011 to 2014, roughly one in five persons under age 65 was in a family that had difficulty paying medical expenses in the past 12 months, and in 2015, the percentage of adults who delayed or did not receive needed medical care for cost reasons increased as the number of diagnostic conditions increased. And among insured with medical bill problems, a 2016 survey found that over 60 percent reported using most of their savings. The repercussions from medical bills may be even more problematic for cancer survivors, affecting approximately 15.5 million Americans with an anticipated increase to over 4 million survivors within the next decade. A recent study found that about 30 percent of cancer survivors reported financial hardship and bankruptcy rates that are 2.5 percent higher than persons without a history of cancer. These statistics are troubling, especially given that many households have insufficient liquid financial assets and resources to meet healthcare costs. 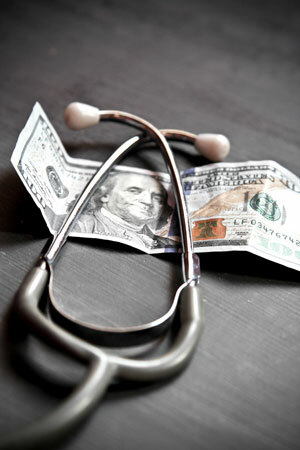 Therefore, what are some preliminary steps that you can take to manage your medical debt? It is important to choose a plan that meets your needs based on coverage, accessibility, and cost. Making sense of health insurance, however, can be confusing, and these all vary by plan. Some important, basic terms to keep in mind when reviewing your health insurance include deductibles, coinsurance, and out-of-pocket maximum. A deductible is the about you pay out-of-pocket prior to when your health insurance plan starts to cover your medical expenses. Coinsurance is the responsibility that you and your health insurer share for medical expenses after your deductible is met. Out-of-pocket maximum is the most that you are responsible for paying for your medical expenses. Once you reach your out-of-pocket maximum, your insurer is responsible for all your medical expenses. To get the benefit of your health insurance plan, review your plan’s network provider directory. It will generally cost more if you go to an out-of-network doctor or hospital. Ask your healthcare provider about discounts and about payment plans such as interest-free payment plans and longer payment terms. Also, offer to make a discounted payment of your medical bill up front. These were just some tips to get you started on managing your medical debt. However, the complexities of managing medical debt may require additional help from a trusted professional. 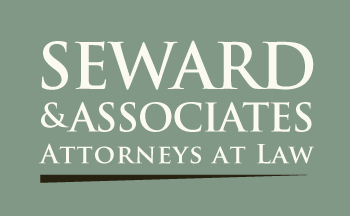 If you are experiencing this, please feel free to call us at Seward & Associates to help you with your financial struggle at 360.602.0744. 1. Your Guide to Successfully Managing Your Medical Bills, American Financial Solutions, http://www.myfinancialgoals.org/education/your-guide-to-successfully-managing-your-medical-bills.htm, (last visited May 22, 2017). 2. Dan Mangan, Medical Bills Are the Biggest Cause of US Bankruptcies: Study, Consumer news & bus. Channel, (Jun. 25, 2013), http://www.cnbc.com/id/100840148. 3. Robin A. Cohen, Problems Paying Medical Bills Among Persons Under Age 65: Early Release Estimates from the National Health Interview Survey, 2011-June 2015, Ctrs. for disease control & prevention, (Dec. 2015), https://www.cdc.gov/nchs/data/health_policy/probs_paying_medical_bills_jan_2011_jun_2015.pdf. 4. Brian W. Ward, Barriers to Health Care for Adults with Multiple Chronic Conditions: United States, 2012-2015, U.S. Dept. of Health and Human Servs., (Mar. 2017), https://www.cdc.gov/nchs/data/databriefs/db275.pdf. 5. New Kaiser/New York Times Survey Finds one in Five Working-Age Americans With Health Insurance Report Problems Paying Medical Bills, Henry J. Kaiser Family found., (Jan. 5, 2016), available at http://kff.org/health-costs/press-release/new-kaisernew-york-times-survey-finds-one-in-five-working-age-americans-with-health-insurance-report-problems-paying-medical-bills/. 6. Matthew P. Banegas et al., For Working-Age Cancer Survivors, Medical Debt and Bankruptcy Create Hardship, 35 Health Affairs 1 (2016). 7. National Cancer Care Institute, Statistics, Nat’l Cancer Inst., available at https://cancercontrol.cancer.gov/ocs/statistics/statistics.html (last visited Apr. 21, 2017). 8. See supra note 5. 9. Gary Claxton, Matthew Rae, & Nirmita Panchal, Consumer Assets and Patient Cost Sharing, Henry J. Kaiser Family found., (Mar. 11, 2015), http://kff.org/health-costs/issue-brief/consumer-assets-and-patient-cost-sharing/. 10. Glossary, healthcare.gov, https://www.healthcare.gov/glossary (last visited Apr. 21, 2017). 13. Ann Carrns, How to Manage High Medical Bills, The New York Times, (May 20, 2015), https://www.nytimes.com/2015/05/21/your-money/how-to-manage-high-medical-bills.html?_r=0.